While living in Japan in 1993, Patricia Dove Miller’s dream of a year of exploration and personal growth is shattered when her husband is detained on drug charges. Miller struggles with a sense of betrayal upon learning her husband’s secrets and yet she stands by him, fighting to save both him and their marriage in the face of the terrifying uncertainties now confronting them. To save herself, she seeks refuge in two Japanese traditional arts—ikebana and shakuhachi (bamboo flute)—which not only nourish and strengthen her, but also lead her to finally discover, at age fifty-two, her life’s passion: to become a writer. 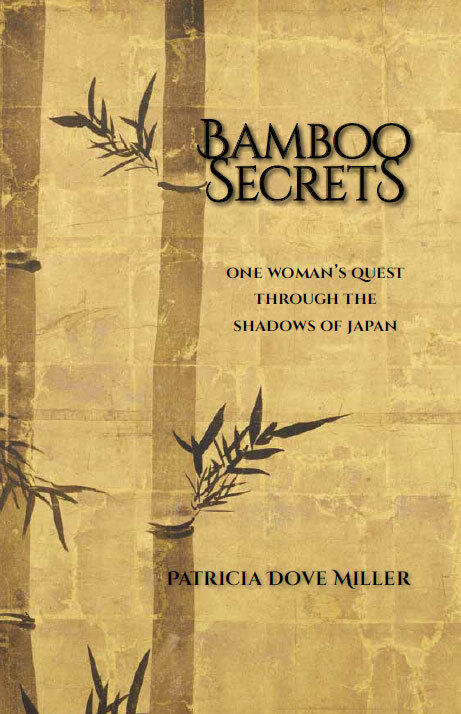 Bamboo Secrets: One Woman’s Quest through the Shadows of Japan weaves together four strands: a mature woman in search of herself, a marriage in trouble, the dark side of Japan, and the beauty of Japanese art and culture.